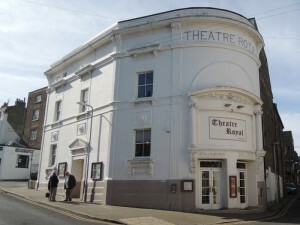 We always like returning to this theatre, lots of paranormal occurrences seem to happen to us and our guests. All of my séance sessions we had varying degrees of spirit activity, mostly though the spirit were able to move us although it depended on the encouragement of the guests and whether they wished to be touched and moved by spirit. We had a well-dressed gentleman, aged in his early 80s join us. He was from the 1890s and wore a top hat and tails. There were odd noises and strange smells that the guests witnessed, some of the movements were on command, some not but all guests experienced paranormal activity during the séances, some people were pushed, pulled and swayed whilst others felt their arms move.